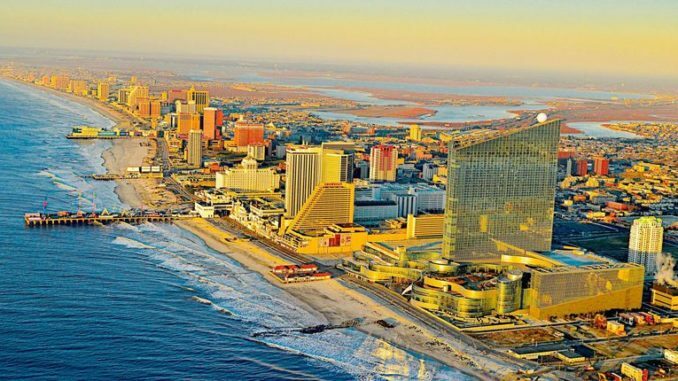 According to the Division of Gaming Enforcement, Casino incomes in Atlantic City (AC) came in a meager 0.3 percent higher in April with the betting mecca by the sea hitting $191.4M in land-based receipts. Online betting incomes were also up by 0.9 percent to hit $214.4M. Overall, the year revenue is still low with the city reporting a 6.1 percent drop in land-based casino incomes over 2017 and a 4.4 percent total drop when online casino incomes are included. Income totals from different land-based casinos didn’t follow any pattern, with some casino recoding high gains while others recorded substantial losses. The Resort Casino led the winners’ list, recording a 23.3 percent increase in income for April to stand at $17.2M. It was closely followed by the Golden Nugget Casino which recorded an 11.6 percent revenue increase for April to stand at $20.2M, keeping the casino 5.3 percent ahead overall for this year. On the flip side, Bally’s led the losers list, witnessing an 11.3 percent drop in income for Aril to stand at $15.2M. Just above Bally’s was Borgata which recorded a 9.1 percent dip in April to stand at $53.1M. So far, this year’s figure for AC has fallen by 6.1 percent to stand at $716.7M for land-based casinos when compared to last year. The second quarter of the year is looking brighter for these two main reasons: 2 new properties coming online and legalized sports betting. Casino Atlantic City and the Hard Rock Hotel will be launched on 28th June 2018. The 1,399 rooms Ocean Resort, the latest incarnation of the unsuccessful Revel Casino, will also open its doors on June 28. Whether or not the Hard Rock and Ocean will revitalize already lagging AC guest numbers is yet to be known but with the recent supreme court ruling making sports betting legal, the city is counting on cashing almost $2B. While some observers, including Gambling Compliance, forecast that sports gambling will do little to change the situation, bringing in about $50M or less than 2 percent of total betting revenues this year, others believe the revenue will come from guests who will come to watch and bet on games, offering a trickle-down effect on drink, accommodation, and food revenue. In addition, online sports gambling, most of which will be provided via AC sports books, is estimated to bring in some $250M per year, potentially increasing AC’s online betting incomes up to almost $500M, providing an attractive revenue cushion. Either way, this city is in for a great year as the Ocean and Hard Rock open their doors and the much-awaited sports betting become a reality.